SWARM was proud to participate in the first Sprint National Anaesthesia Project (SNAP 1) which completed data collection on 14th May 2014. 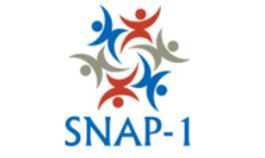 SNAP 1 was being managed by the National Institute of Academic Anaesthesia - Health Services Research Centre (NIAA-HSRC), in conjunction with the UCL/UCLH Surgical Outcomes Research Centre (SOuRCe). It was funded by an NIAA administered grant provided by the Royal College of Anaesthetists (RCoA). It aimed to provide a 'snapshot' of clinical activity in hospitals throughout the UK over a 2 day period on 13th & 14th May 2014. It specifically looked at patient reported outcomes after anaesthesia; specifically patient satisfaction and patient reported awareness. For more information about this exciting project, visit the NIAA website. Collaboration between SWARM (Trainee research network) and Clinical Research Nurses to maximise recruitment to Sprint National Audit projects, Abstracts of the AAGBI Annual Congress, Anaesthesia, 69(S4): 44.